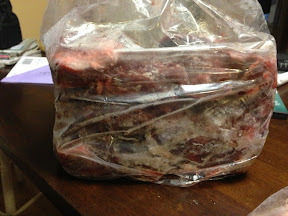 Last night I picked up my April order from Raw Paws. 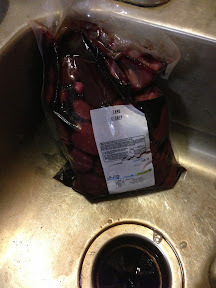 Nearly 9 lbs pork tongue. 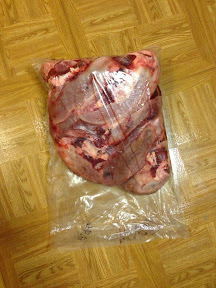 10 lbs beef cheek meat. 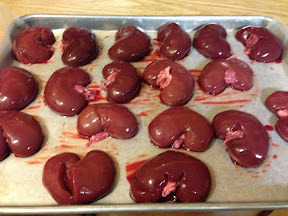 The lamb kidneys were not frozen, so I placed them on a lined cookie sheet to be individually frozen last night. 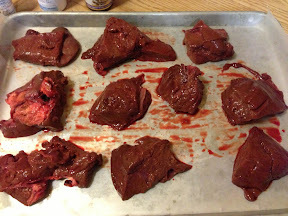 I did the same with some beef liver that I already had and had set out to thaw. 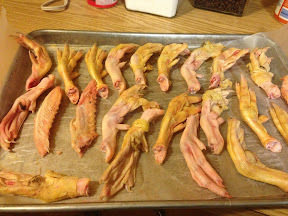 Tonight I individually froze the duck feet. There was a few tips in the bag as well. 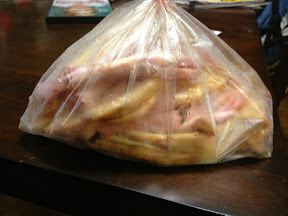 Not all the duck feet fit on the sheet, so I placed them in a small bag to go in the freezer. 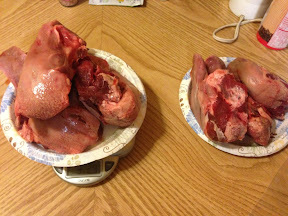 I portioned out the pork tongues as well. suckernice person who agreed to work for someone at 6 AM on a Saturday morning.